volunteer internship program under Volunteers Initiative . 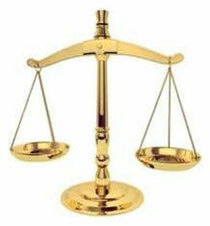 can also obtain your own legal advice on them, should you wish to do so. departure. You are also advised to obtain any relevant information you need from WCG101. very basic. You must be prepared to cope with this. return to the city in the weekends, you must cover your food and accommodation cost. length of your stay with wcg101. Training / orientation is part of your volunteering program. develop insight on cultural and historical sights, e.g. This is also covered by your program cost. cover your transportation of any nature. that you will not request any payment from the organization responsible for your placement. You will be placed adjacent to the working site; hence WCG101 does not cover any travel expenses. our liquidation or any other reason beyond our control. appropriate amount, for example minus the training and administration costs. show a high level of independence, flexibility and initiatives in dealing with problems yourself as they arise. organization due to culture sensitiveness. participation on wcg101 Volunteer Program.